Provide comfort for the family of Donald Dzioba with a meaningful gesture of sympathy. Donald F. Dzioba, 83, of New Britain, CT died Thursday, April 4, 2019 peacefully at home. Don was born on September 13, 1935, in New Britain, CT to the late Lawrence and Stella (Bak) Dzioba, he was a lifelong resident of New Britain. Don retired from the Fenn Manufacturing Company in Newington in 2000 after thirty-three years of dedicated service. He was an Electrician in Facilities Maintenance at Fenn. Don also performed many electrical jobs for family, friends, and associates throughout the years. He was a member of Sacred Heart and Holy Cross Churches. Don was always quite the character and was so jovial and fun loving. He loved boating, fishing, hunting, and in his later years was quite a successful farmer. Don loved to share his summer and fall harvest with family and friends and often used his tiller on many a friend’s garden. He will be sorely missed by his family and friends. Don is survived by his beloved daughter and devoted caretaker Donna Dzioba of New Britain, CT, his son Edward Dzioba and his wife Andrea of Haslet, TX; and his grandchildren Daniel Edward Dzioba and Samuel Thomas Dzioba. 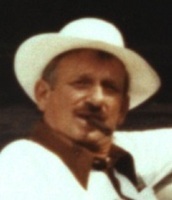 Don was predeceased by his beloved wife Wanda (Cybulski) Dzioba in 2009, his loving daughter Irene (Dzioba) McDonald in 2012, his two sisters Lucy (Dzioba) Masocco and Cecelia (Dzioba) Sperduti. 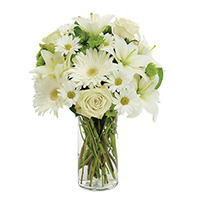 To send flowers in memory of Donald Dzioba, please visit our Heartfelt Sympathies Store. With love from your nieces, Joanne, Nancy & Sally sent flowers to the family of Donald Dzioba. I am so sorry for your loss please take comfort in the promise found in the Bible at Acts 24:15. Our hearts are filled with sadness, but our memories are filled with smiles and laughter of the good times we shared with Uncle Donny, especially Wigilia and backyard BBQ’s! With love from your nieces, Joanne, Nancy & Sally purchased the PEACEFUL WISHES for the family of Donald Dzioba.